Christopher Edley, Jr., is President of the Opportunity Institute. He is the William H. Orrick, Jr. 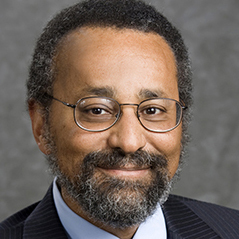 Distinguished Professor and former dean at U.C. Berkeley School of Law, and was a math major in college. The high school I went to taught Algebra 2 when we were freshman, and many Asian countries teach Algebra 2 even before high school. That polynomial above is simple. a1 and b1 and a2 and b2 are all just constants, so you can put any numbers you want for them. All you have to do is just FOIL and then just take the square root. The reason why we learn this stuff is because learning this stuff makes you smarter. Why bother to learn that the Earth is round and the Earth goes around the Sun? Will you ever need to know this if you were not working in some science related field? Why bother teaching people that there are several planets going around the Sun? All of this stuff is knowledge that the average person needs to know. Learning math and physics just makes your brain more flexible and allows you to understand and learn more things. I don’t understand the motivation for this. If a student cannot expand a basic polynomial, then how can they be expected to understand probability and statistics? Reducing the importance of algebra to “following routine steps” completely misses the point of how integral the subject is to numerical literacy. Why can’t we just change how we teach algebra so it’s more accessible for people to learn and understand? Odds are people will take the statistics pathway only because it’s easier, and won’t understand the meaning and value of the statistics they’re doing. Algebra exercises fundamental skills of critical thinking. It might be a phobia of numbers or a genuine problem in critical thinking applied to problem solving. Nonetheless, don’t blame algebra for gaps in skills and capabilities. Assess the possible problems and address them and don’t blame the scale for calling you heavy. You are supposed to learn how to do the equation you posted in your poor argument filled article, not know it right off. Would you be all right with students who fail their English studies but excel in math being allowed to skip so they can get more lucrative jobs, too? Or is that suddenly necessary? I also don’t understand how the argument is that math is arbitrary. What makes students of color unable to do the math? I think the idea behind Algebra has made many people uncomfortable for many years now. I do not think this is just specific to one type of people either. I have seen numerous people simple dislike Algebra because it takes a certain level of critical thinking that is not easy to navigate if not taught correctly. The specific content may not be that important, but the skill that Algebra teaches can be very useful. Now I also think Algebra is not the only way to gain such a skill. We can devise a required class that could help with that. Algebra is much more than crunching numbers. It is a way of teaching students how to take all of what they are given and come to a conclusion. Algebra encourages the increase of problem solving skills that anyone in any major can benefit from. I understand that the specifics of algebra are not required within many majors, but the skills that can be learned from it will still be beneficial. Maybe there is a way to incorporate algebraic standards into a more “useful” math course. Algebra should not be taken out of college students’ course requirements simply because they cannot do it. Math is crucial for life, and algebra is almost entirely critical thinking and problem solving, which is helpful for all careers and life in general. The subject isn’t the problem, but maybe rather the way it is being taught. High school math education and all math classes for that matter have to be prioritized instead of brushed aside. There is indeed a civil rights angle to this, but it’s this: Why are so many students unprepared for college math in the first place? The reasonable thing to do, Mr. Edley, is not to lower standards even further, but to raise them. How is is that students can be given a high school degree and yet still need remedial math? Because the math requirements for such a degree are a joke. They’ve been watered down. Do you use math every day? I do. How about history? Literature? Speech? Foreign language? Honestly, I probably don’t need to remember the details of the Punic wars for my day-to-day life, but all of these things together make me an educated person. A person who does not understand laughably simple algebra like your example also will not understand statistics, what a distribution is, how correlation does not equal causation, what a multicomponent analysis is, or even have the foundation for thinking quantitatively about the world. That’s a problem in a democracy where everyone votes. If nothing else, it makes the electorate vulnerable to nonsensical propaganda. So yes, it actually does matter. Algebra is a waste of time, money and resources in College for non STEM majors! I think it has become the norm to separate demographics by race. Did they bother to separate demographics by income? Did they bother to separate demographics by dual and single parent households? If white and Hispanic kids that live in low-income single parent households have the same struggles as black kids in the same situation, then race has nothing to do with it. I’ve battled math phobia demons all my life. As a result, I’ve become very creative at finding solutions around the “math requirement” system to stay employed. I’ve been an IT professional for about 20 years and earned more than some college graduates. At one point I even managed a team of professionals with degrees. Admittedly, I envied not having “back in college” stories, and obviously have no college buddies, I have Navy buddies. But I’m a parent now of two young children and I’m going to encourage them into college, I must finish my degree. However, the math demons are back and intermediate algebra is keeping me from graduating with a measly AA in Information Technology (never mind that I got As in all my other classes). I’m embarrassed that I have to peek into my son’s 5th grade math book for tips, and more embarrassed that I have to admit to my wife that I’m really bad at math. Still, they can’t see me as a quitter. I learn the material, I soar through the homework, I answer all the questions in class and I’m motivated and involved. Then … I flunk the tests. Yes, I’ve sought help for this and I’ve read about all the titles and myths about “math phobia” and that there is no such thing. So I have to wonder what is its purpose? I have seen computer science professionals actually use discrete logic and math to develop compilers with really tricky algorithms that I _sort of_ understand. But those cats have PhDs! They’re way beyond all this. Xela, I agree with you. I’m in the same boat. I hope you were able to pass your Algebra class last year. I’m taking an Algebra class now. I do horrible on tests. Great at everything else. This is the only class holding me back from graduating. I’m extremely afraid that i won’t pass the class. I spend hours doing the homework. It’s motivating that someone is shinning the light on the Algebra issue . This article really interested me. On one hand I completely agree with the author. Not only are algebra skills often not used in careers, but performing algebra often requires students to memorize a set of arbitrary rules and apply them. Doing this does not demonstrate higher level thinking but rather, promotes surface level memorization which is not helpful to increase higher level understanding. However, I also don’t think we should delete intermediate algebra from the requirements. I think the subject can be very valuable if the students have a well-rounded view of why they are doing the computations. Perhaps the problem is not the subject but rather how it is being taught. If we teach students to problem solve, evaluate, and search for understanding in an algebra class, surely these skills will be useful later in life. The purpose of high school is to prepare students to be a contributing member of society (or rather, that should be the purpose). The purpose of college is to prepare students for a job in the field they have chosen to be in. If Intermediate Algebra is not needed to prepare a student for a certain job, why would it be required? It seems to be a waste of time for the student and the professor. Every class should have meaning and purpose for a student. Learning math, like learning language, has value other than pragmatic application alone. Math teaches logical thinking and critical thinking. These are hallmarks of the educated mind. As we can see from the state of political discourse in our country, America seems to be failing at teaching logical and critical thinking skills. Dumbing down education to make it accessible to students who are not prepared for college-level work doesn’t seem to be working, does it? Is it possible that giving students less and less in pursuit of equity or some other admirable goal is not a good idea? What needs to happen is not to dumb down college curricula but to smarten up K-12 curricula. Sounds like a reasonable argument, but there is no evidence that mimicking algebra manipulations leads to critical thinking (although a redesigned algebra experience that focuses on algebraic reasoning and application to real situations might). In fact there is a lot of evidence from research in cognitive psychology that indicates this “exercise the brain” theory doesn’t really work and that development of skills in one context does not easily transfer to other experiences. So I think that any argument that focuses on exercising the brain and a general increase in critical thinking, or any argument that depends on “develops character because of the struggle” sounds a lot better than it really is in practice. The cause of the reproducibility crisis in science is that too many scientists think they understand statistics when in fact they don’t and they don’t because they were never taught that the roots of estimating probability densities pass through calculus and increasingly with multilevel models in topology. Just because someone can be taught to dump data into STATA and click the right buttons doesn’t mean they understand statistics. In fact all they really know if that’s all they know is enough to be dangerous with data. There’s a reason why surveys of statistics lecturers in community colleges (and oftentimes in colleges and universities too) are teaching “gross misunderstandings” of statistics – and it’s because they don’t have the deep understanding of math that comes with advanced courses. If you can’t pass algebra II, you can’t be a (competent) statistician because you won’t know what you’re doing. The easiest way to sabotage your career trajectory and long-term professional success is to give your colleagues, competitors and clients a reason to think you are an idiot. Arbitrary or not, if I meet another professional (say, a lawyer) and a situation comes up that exposes the fact that they can’t solve a simple algebra equation (even if allowed to crack a book to refresh their memory on how to solve it), then I will start to think of them very differently from that point forward no matter how useless algebra is in my profession. I will think they are not as intelligent as me, which will cause me to not trust them enough to assign them work that I don’t have to supervise, and I would dramatically lower my expectations of their ability to add value to my company over the long term. If they were job applicants I wouldn’t even hire them, but if they already worked for me I might just overlook them when selecting people for promotion. I would have the same reaction to someone not knowing anything about elementary/high school level biology/chemistry, history, English, government, etc. The subject matter at issue doesn’t matter so much as them simply not knowing something that I feel is easy enough to either learn in high school or pick up on their own. It may be arbitrary in the sense that the knowledge they lack isn’t useful or needed in my profession, but it’s a position that is not out of the ordinary. If you were reviewing applicants for a nursing position and one of the applicants couldn’t tell you who the president is, or doesn’t know that Africa is a continent, or doesn’t know if the Vietnam War followed or preceded the Korean War, then you probably wouldn’t think too much of their intelligence or professional potential either. So, neglect “unimportant” subjects like algebra at your own peril. You might need to know a little something about algebra for reasons completely unrelated to any actual need to solve for X. You can call algebra arbitrary all you want, but I don’t, so if you ever find yourself in a position where you need to impress me, you probably won’t. You may never cross my path, but many, if not most, people like me hold beliefs similar to mine. Has it occurred to you that standards exist for a reason? The point of education requirements for employment is to discriminate, between those who understand a rudimentary college curriculum and those who don’t. Employers only require a college degree nowadays because the standards of high school have been reduced to the point that a diploma is pretty much a participation trophy. It may be true that some jobs may never use algebra, but there are far more applications than just STEM majors. If you can’t solve the equation listed, you probably cannot solve a lot of problems for yourself. You cannot solve many business uses, as systems theory from engineering is being applied widely in business.You cannot reason the arguments in public discourse around global warming or fair trade or health care because all of them are problems with multiple forces acting independently. If you cannot grasp the basics of algebra, you can’t grasp the basics of these issues either and you’ll be dependent on some one else’s opinion for your position. The problem seems to be at the high school level where they are seemingly passing the students without merit. Being a minority is not the issue here. The issue here is poor educators giving a poor education. I will take it a step further, the public sector is mishandling funds overpaying school board members and unions, instead of spending the money on the educators themselves. There is nothing that I have seen yet in my 45 years of life that the public sector can do more efficiently than the private sector. Expand the school voucher program and allow parents to enroll their students in private schools and give the private schools the money for the students that are enrolled in their institutions instead of filling the bellies of an already bloated system. Oh and by the way if you do this don’t start imposing additional regulations on the private schools, let them regulate themselves for the most part. If they perform well, the public will let them know and if they don’t, they will go the way of the dodo. It is simple. Most college grads won’t end up working in their field of study. The purpose of college is to signal to employers the quality of an applicant. That’s all. If you weaken the standards, you dilute the signal to employers, and college becomes an even bigger waste of time and resources. This isn’t a race issue. It’s not a university standards issue. It’s a public secondary school issue. Many of them are failing at educating their students. And that failure is almost entirely the fault of the teachers unions. But heaven forbid the lefty author above would ever criticize the union. “The culprit is Intermediate Algebra, a high-school level course of technical procedures that most college students will never use, either in college or in life.” Other than courses designed for a career (e.g., accounting), few college courses have content that will be “used” after graduation. If “use” were the test, then courses in literature, sociology, history, general humanities, etc. would all fail. And if their defense is indirectly teaching critical thinking, then so does algebra. Yes, and maybe those other courses need to be examined for relevance. The problem is that those other courses are not acting as a gate-keeper the way algebra is and preventing future economic mobility. This is also about cashing on our education system. USA is one of the few countries in the world where we take in universities claswes that you took in high school – history, geography, math, writing, etc., this is despite your GPA. The only way to avoid this is by taking in high school Advance Placement or other pathways. The education system in this country needs to prepare students to take relevant classes in college. It will save at least 1 year of tuition, fees and time. We should just hand out diplomas so everyone can feel good about themselves. Evidently expecting people to reach a standard is racist. This is ridiculous. How can a college student earn a four year degree without being able to solve the equation at the bottom of the article the author put as an example? This level of math requirement is about basic training for a true college student. To achieve true equality, we need to work on helping lagging ones to meet up the standard but not to lower the standard to for them. By the end of days, our students need to be capable of competing nationally and globally. Other countries are not reducing standards. Ahhh, the subtle racism of lowered expectations. I’m sorry but education is designed, or should be, to create the most prepared students possible. Universities should not be diploma factories or tools for social engineering. Identity politics should have no no bearing on these matters. The truth is, not everyone should get a degree and it’s also not inherently true that degrees should be handed out equally among all groups in proportion to their population or even enrollment. Sometimes it is best for the student to actually pursue other opportunities and not being able to pass Algebra 2 seems like a very good indication that this is the case and a relatively harmless way to weed out people who will likely fail before they go into too much debt. There is NO indication that these people who fail Algebra 2 would otherwise go on to graduate. Lowering standards so that everyone can pass is a good way to make diplomas even less valuable. The dumbing down of America continues. This is why the rest of the world is excelling and we are falling behind. Math is hard, it’s supposed to be push-ups for the brain. There is a huge difference between people who understand math and those who don’t . Why stop at math, let’s ban foreign languages and reading and any other challenges free liberal arts degrees for everyone. Read some of the biographies of our founding fathers and memorable leaders sometime. Today’s average liberal arts college graduate couldn’t hold a candle to the scholars of times past. If students can’t pass a high school level course, why are they in college? The picture at the top of the article is calculus…….. The same argument could be used for almost every college course. I have not been asked to write a thesis sentence since freshman English. I have not needed to know anything about world history, political science, geology, etc. Why not let everyone choose what they want to do for the rest of their life when they are 12 years old and then just teach them what they need for that profession? Because that is not the purpose of an education and very few people stay in the same field for their entire life. An education, especially a college education, provides a basis for learning throughout your entire life. The problem that the author poses at the end of the article should be solvable by an 8th grader. Why would you not expect a college student to solve it? I would suggest that most degrees that don’t need an understanding of “intermediate algebra” aren’t worth the money required to obtain them. These students would be much better off becoming tradesmen (carpenters, plumbers, etc) although even they need to know basic mathematics. No wonder people expect to earn a living wage at a fast food restaurant. If they won’t put in the effort to do something that may be hard for them (algebra) why should anyone hire them for a meaningful job. I wouldn’t. I see: The way to bridge the equity gap in math skills is to tell CSU students there is no gap, and that they don’t need algebra in the real world, then push them headfirst into the gap. That will make things equal. Algebra is not intended to be used outside the classroom unless you are a STEM major. Algebra is intended to change the student’s thought process, in order to think in an abstract manner, which is antithetical to common sense. Algebra is the foundation of basically everything after arithmetic. Show me a statistics class that doesn’t contain any algebra and I’ll show you a statistics class that is nowhere near as “rigorous” as the author claims it to be. The article is correct in that the polynomial solving techniques from intermediate algebra have no association with statistics. But that does not mean that every student is prepared for a college level statistics course. At our college, we teach pre-statistics that includes topics such as number sense, writing intervals in various forms and set operations to properly prepare students. Equation solving is restricted to determining a cut-off scores. Having said that, students also need to have a familiarity with function notation in order to give an expression such as P(-2 < z < 1.5) some meaning. The thesis for the argument put forth in this article is ludicrous. Because black kids do worse at mathematics than white kids or Hispanics, math must be necessarily biased against blacks. So let’s lower the bar in regards to math standards so that we do not discriminate against blacks. Complete nonsense and defeatist. Kids who put in the time and study will pass mathematics. The kids who don’t do the work do not pass. It does not matter if they are white, yellow, purple, brown, or black. To target the actual discipline of study because fail rates are high is irrational. Using the logic of this author, we should just wipe out entire physics departments and curricula at universities since students fail physics courses at extremely high rates, regardless of race. I think the guy’s on to something here. I graduated with a degree in Electrical Engineering. To get it I was required to pass a course in Differential Equations. After 34 years, the last time I looked at a differential equation was on the final exam for that course. Also, in my senior year my degree plan gave me a choice between Introductory Statistics and Elementary Linear Algebra (which was neither elementary nor linear nor algebra). Because I was interested in control theory, I took the linear algebra course. And I’ve always regretted my choice. Because since then, nobody has “once” tried to lie to me with an eigenvector. Algebra develops pure critical thinking, much more so than statistics, and the two are not interchangeable. You might as well substitute wood shop. College may be a job ticket, but it is also supposed to educate. In my opinion, intermediate algebra is passable by any committed and moderately intelligent student, and it should remain as a prerequisite. You should put your efforts into motivating students to do the hard work necessary to reach their chosen goals, rather than into watering down the college curriculum. Algebra II expands one’s ability to reason. Reasoning and critical thinking are so lacking in America today. Need help, get a tutor. Who wrote the math problem you presented? The question is to “Expand this polynomial…” and then presents an equation, not a polynomial. To solve the equation for y, take plus or minus the square root of the left side, no expansion necessary. Expansion of the left side uses FOIL, an Algebra I skill, but it plays no role in solving the equation. I think it is a bit misleading to say that if a student is not able to do a specific type of algebra problem, then that student does not deserve a college degree. If a student is not able to pass the Algebra course, then it means the student is not able to do a lot of problems. We focus so much on pass/fail that it is easy to forget that the point of pursuing an education is for the students to have an opportunity to develop skills that they don’t have. One of the most important skills that students will learn to develop in the Algebra course is to learn how to correct their own mistakes. It seems trivial for most of us but it’s not as natural as we may think. Wouldn’t it be better to push for more resources to go into helping these students pass the class instead of pushing to get rid of the class? Dumbing down of a BS Degree especially a STEM program. What’s next? Calculus? Trig? The professor knows that the logic skills used in algebra are fundamental in developing evaluative skills in life. Intermediate algebra develops logic skills and constructs for any Bachelor of science degree. Unless I misread, the author states that many majors do not require the skills of Algebra, that statistics can be completed successfully without it. Additionally, if it’s just logic and decision making, there is argumentation, philosophy, and dozens of other general education courses that cover this. While I have solved for X many many times since college, I have never needed other Algebra skills, not for my MBA, nor as a data analyst. Consider that by placing this barrier on every student, we are forcing out 80-plus percent of college-bound students. Well, that’s concerning. Didn’t touch the CAPM in your MBA? That’s algebra. Portfolio theory/optimization, equity and fixed income valuation all involve algebra and calculus. I work in corporate FP&A, and use it every day having to calculate inputs, create variables in workbooks, use systems of equations to balance things out over various places. Slope of line? Algebra. Order of operations, and inequalities? Algebra. Factoring, complex numbers, etc. I’d be scared to hell going into a Microecon class, or Corporate Finance (even as an undergrad!) without crushing the underlying math portion. Aren’t college science courses either algebra or calculus based? Or has that been dumbed down too? If you want to fix things, then ensure every high school graduate has solid intermediate algebra skills. Why are we even teaching intermediate algebra in college? It’s really a failure of our high schools. And really what’s the point of high school if we just dumb down the requirements to where they only have to count with fingers. If anything absolutely NO college degree should be given to anyone that can’t at least show proficiency in intermediate algebra. You would be harming the people you are trying to help in the long run. Passing Statistics to satisfy degree requirements for a Fine Arts major is hardly dumbing down. They are just saying that Algebra doesn’t need to be part of the math sequence for everyone – STEM, sure, Kinesiology, maybe not so much. I completely agree. I feel the root of the problem is way before college. Why are students coming to community colleges and having to take pre-algebra, let alone beginning and/or intermediate algebra? Not only that, they can’t spell, punctuate, or write a meaningful summary which I require of my students in statistics. I’m a high school math teacher. Please don’t place the blame on us. I try incredibly hard to motivate my students to learn and become skilled at math. However, I regularly get students who can’t add or subtract anything other than whole numbers. Social promotion and litigious parents are the reason these things are happening. A child can fail every single grade from 1st through 8th, and still get into high school. Social promotion must end in California if we are to see gains in Math and English. Why should my 9th graders believe me that it’s important to learn Algebra if there’s never been a consequence for failing for eight years? And parents threaten to sue schools every single day. While some suits are justified, the majority aren’t. But those threats of lawsuits really affect administrative policy at schools. Unfortunately, usually a negative effect where requirements are dumbed down or flat-out ignored to avoid potential lawsuits. In the end, it comes down to the student. They need to work for a degree. It’s not a right to have one. When I struggled with a few concepts in my Calculus 2 class at community college, I went to the free tutors they provided. There is a lot of free and low-cost help out there. Students need to use it and push themselves. So many of my 9th graders want me to “give” them a good grade. I tell them they have to earn a grade, not be given one. Seems a lot more students need to learn that. Nonsense. As a math major, physics minor, I did use a bit of simple equation solving, but not much, after my stint in college. I spent a lifetime of telecommunications work. Once in a great while, I had to figure out how long to cut a line, to help hold up a vertical antenna tower. And, that was about it. I learned that, somewhere around the 8th grade. Had I been into writing, such as writing training manuals, or poetry, I would have had no, repeat, no use at all for higher maths. It is good to have a decent background in English (reading and writing), government, geometry, and algebra, on a high school level – but having to take further maths and science classes, on into college, for people who will never need it? If they do not know what their long-term work plans are, they are just as likely to need something else. College, especially the first year or so, is where most students finally make those decisions, and then they need more hours in those subjects, than something that they will never touch again. I know, it’s hard to make decisions, as an 18-year-old, but eventually most of us do it, and get through it. This article presents a view of this issue that is often overlooked – that the policies universities adopt relative to math requirements can be seen as civil rights issues. As a Latino college math professor who started his training at Cal State Northridge, this is an important issue for me. In fact, I spent three years as an employee of the Carnegie Foundation and worked on both Statway and Quantway in a variety of ways. For the last four years, I’ve been back at work as a full time professor of math, and have been working hard with colleagues at my own college to totally re-invent our curriculum so that non-STEM students have quality, rigorous, and shortened pathways to complete their associate degrees. I’m not alone! All over the country, hundreds (probably thousands) of math faculty are working very hard on this challenging issue. A lot of the hard, time-consuming work on Statway and initiatives like it has been done by math professors who actually do believe our non-STEM majors are perfectly suited for “meaningful civic engagement” and absolutely deserve a college education and degree. This entire article frames the issue as one of policy at CSU. Then, only at the end, the author implies that “many” math professors are a big part of the problem. And that may be true to some degree – some math faculty hold on to beliefs that get in the way of clearing obstacles for students to complete their education, as do many other faculty, factors, and policies. Who do you think is giving them this chance? It doesn’t appear out of nowhere. Many administrators, curriculum writers, non-profits and, yes, math faculty, have done the hard work to make these options available to students. I think it’s important to keep in mind that “many” math professors are on the front lines of addressing this issue by working on and with initiatives like Statway, creating and testing new curriculum, learning new and more effective pedagogical practices, engaging with four-year institutions to ease transfer options, etc. Indeed, “many” are doing their part. Taking a snarky swipe at math educators at the end, without providing a balanced picture of their work to remedy this situation, doesn’t make much sense. Nor does it seem particularly productive. I was at a restaurant some time ago. The waitress accidentally charged 10% tax on the bill instead of 8%. And she had lost the pre-tax cost of the dinner. No one knew how to figure out the correct amount for the bill. It was a question in basic algebra but no one knew how to come up with the correct amount for the bill. Finally it was brought to the attention of the restaurant manager and he figured it out. It is foolish to say that basic mathematical skills are not part of everyday life. Moreover, this article makes it sound like requiring knowledge of low-level high school mathematics is an indictment against people who are not mathematically savvy. There is a reason to know basic high school mathematics. 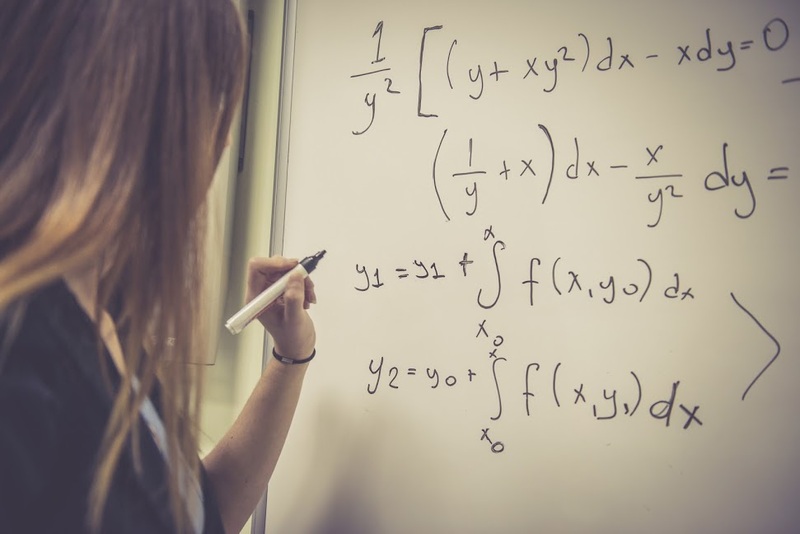 The higher level courses like college algebra, calculus, statistics, freshman physics, freshman chemistry all rely on the basic mathematical skills from high school mathematics. If students wish greater insight into the world and the universe we live in, they will not achieve it without such basic mathematics. Such students can make it through these courses with a great deal of anxiety but they won’t have actually learned anything – they will not have any greater insight. These courses will be painful and will serve only as a right of passage – not as a path to any kind of insight or enlightenment. It is emotionally painful to see many students pay tens of thousands of dollars a year in tuition, not to actually learn anything. Education is not supposed to be a survival contest. It is to bring about a deeper understanding of oneself, the world and the universe we live in. Of course it is to learn necessary technical skills for one’s career. Education has to keep a balance between pragmatism and world view. It is wrong to think of education solely as a means to make money. Trade schools exist for that. They serve a purpose – as important as any. If the individual wants only that, then this option exists. But that is a distinct purpose and different from that of a college or university. Even the natural sciences – biology in particular – are becoming more mathematical, as the growing fields of biophysics, bio-mathematics and bio-statistics are making increasingly greater contributions to the field. The long unsolved protein folding problem is now understood having applied statistical mechanics to the entropy and free energy of the proteins. Mathematics continues to make important contributions to fields of study and to society in ways that were previously not envisioned. Carl Sagan pointed out that our economy is becoming completely dependent on technology but society is becoming more technologically ignorant. He argued that such a schism could ultimately be catastrophic. On top of this, many colleges have tutoring centers where the student can get one on one help. These centers can review the class notes with the student, can review homework with the student and most importantly provide a channel for communication and personal attention. Many centers provide feedback to the professors so that they are aware of the efforts of the students. As with everything in life, this is a question of responsibility and accountability. There is cause and effect. If a student neglects education from early on, there will be a deleterious outcome later. And regarding the concepts of responsibility and accountability, this article is blaming the “institution” and the “collection of math professors” for the indolence of the individual. There are two ways to make it at anything. One is to be blessed with natural talent, the other is through hard work. This article condones displacing responsibility for the individual and transforming into blame of the institution. And the reader will hopefully notice the hypocrisy in marginalizing an entire sect of society (the professor or the math professor). You cannot get justice nor an efficient system by continually displacing responsibility from one group while blaming another. This is a classic case of playing victim to avoid responsibility. Playing victim has nothing to do with justice. It is always about gaining power. To paint this topic with such broad strokes is a deception, a play at sophistry and manipulation. Let’s understand that advanced math has been used as a gatekeeper by numerous departments in the academy when each respective department/field should have field-oriented assessments that evaluate students’ abilities when enrolled in the major itself. It’s about understanding disciplinary literacy as tied to each field or subfield. The community colleges seem to get it. Perhaps one day the same will be true for those in the UC or CSU system. Perhaps the framework description has changed since I instructed Algebra I in middle school and the course of the same title in high school, but the product of the two binomials shown would have been addressed in both courses. However, the solution for y from the expanded polynomial in the example would not have in the middle school, but might have in the high school. I didn’t bother solving this one for my comment, but suspect that this roots would require completion of a square, which technique is also taught, at least in the high school first-year algebra. However, I suspect few students who had not taken the second year algebra would have been able to solve the sample problem, and if they were not aiming for a STEM career, then I don’t believe that they’d have any need to be able to solve the example problem. I do believe that this mismatch in requirements for entry into many programs is a reason that our college education system fails so many, and it is about time that the CSU administration learns this. I am sorry, professor, but the the ability to think algebraically is necessary, regardless of profession. Take art for example. A Basquait painting recently sold for $110 million 20 years after it sold for about $50,000 adjusted for inflation. Using the slope of that line, one can ‘predict’ what that painting will be worth 20 years from now, or, if the buyer overpaid or underpaid for that painting relative to other Basquaits, or other artists. Nothing is worse than not understanding how people derive sales targets, inventory levels, or transportation times, all which involve algebra. BTW, I wouldn’t hire a kid who couldn’t FOIL the left side of the professor’s equation and then take the square root for ‘Y.’ I am not uncommon. Slope of a line is a lower level of Algebra, and once you take statistics you find that a simple linear progression is rarely useful. Understanding what it means, and how to use modern software and tools to calculate it, is far more valuable than knowing rise over run. I’d hire a guy who knew Excel over FOIL anyday. Discuss mathematical problems and write solutions in accurate mathematical language and notation interpret mathematical solutions. Wow. First of all, I received my high school diploma and BE in Mathematics in New York. When I moved to California to teach, it totally blew my mind that most college freshman were taking “College Algebra” as they entered university (Cal State, CU or private). Where I come from if you were going to college straight from high school, you started with Calculus. If not ready for that, you took remedial courses through junior colleges. It was never expected that they would transfer as general education credit. Statistics could be used if you were not a math major but two semesters of math was required for a BA regardless of major. One had to be Calculus. It actually floors me as a secondary math teacher that students are graduating with no less than 2 years of Algebraic coursework only to repeat it. This from ALL races! It’s NOT A civil rights issue it’s a phobia that hopefully Common Core teaching strategies will help!! Algebraic thinking/problem solving is key to all critical thinking! While learning statistics represents a less challenging experience, it should never replace mathematics, which is a valid discipline by itself. Intermediate algebra provides a set of skills that every college students should be able to cope with. The argument that such knowledge students “will never use, either in college or in life” is invalid. Numerous other components of education do not call for an immediate application but they are still inevitable components of a rounded educational curriculum. Learning mathematics constitutes a unique challenge, supports the growth of mind, and aids the development of logical and thinking skills. Factoring polynomials is not all that algebra is about and there are infinitely many applications that tie algebra to the real world. Statistics cannot replace algebra. Presenting more interesting and more application-oriented algebra courses is a better pathway, instead of trying to cancel algebra out of the curriculum. There is a growing number of college professors teaching statistics pathways who have just started realizing how much damage is done by omitting the mathematical part, for thousands of students are now graduating from colleges without knowing how to carry out simplest mathematical operations. For instance, a group of students in statistics pathways were asked to find a number which, when multiplied by itself, results in 16. Very few students could produce a correct answer. This incapability to solve a simple numerical problem indicates the extent of damage produced by this new fashion where little is required from students and even the most basic requirements are bypassed. Students who aim to earn a college degree ought to understand the basic principles of mathematics. Somehow I doubt that it is in the interest of the nation to bring forward generations that are unable to carry out simplest mathematical operations. Watering down college courses is not a solution. The less is requested, the lesser will be the quality of the overall educational outcome. There are some really valuable and thoughtful ideas in this essay, but it would have been far stronger and more powerful without the focus on math-phobic tropes. I could say the same about Shakespeare, foreign language, frankly nearly every general ed course. Why should STEM majors have to analyze literature, after all? In my opinion, Algebra is as key to understanding life and culture as literature. What I found persuasive wasn’t the bluster that math isn’t important, nor the legal threats, but the arguments that the students had already taken the material, and that they deserved credit if it needed to be retaken. I also was persuaded that their time is better spent, if they’ve completed Algebra 2, taking a statistics class, an area that is very valuable and important in nearly every field, and is undertaught. Statistics, IME, is taught after Algebra 2 mostly because it is more difficult rather than because one is required for the other. CSU requirements should be the same for transfers as for students who begin at CSUs. That would be more fair for all students. This sentence jumped out at me as crucial, yet nothing in this article explains why it is true: “About 80 percent of African Americans required to take more than one remedial class in math do not complete their math requirements within six years, compared to 67 percent of Hispanics and 61 percent of whites…” Is this also the case in other academic areas? We ran a pilot program in conjunction with a local community college using the Carnegie Foundation for the Advancement of Teaching’s Statway curriculum at the high school where I teach this year to allow students to complete their collegiate statistics class while still in high school. Think of the course as an ‘AP’ class for students who have struggled with math. These students are now on the path to a college degree. Statway built their confidence in their math abilities, opened the door to a college degree and did not close the door on a STEM career, if the student so chooses to study more math in the future. Rethinking where statistics goes in the order is definitely worthwhile, and it’s such a different style of math that it is completely credible that kids who struggle with algebra may find that they can be successful with statistics. One thing that has changed significantly since I took it is that modern computer power makes what were once difficult and laborious and time-consuming problems in statistics much easier to solve. Statistics really needs large data sets to fully explore the meaning, and Back In My Day it was infeasible for a student to work with more than say a dozen data points and hand calculate results. If the student made even one simple arithmetic error over the set, the results back would be garbage. Today it is taught with Excel-like software that can automate summations over an arbitrary table of data, which makes the patterns much more evident and meaningful, and the busywork significantly less. Thanks for sharing the results of your pilot. Pearson’s online college statistics course exists and it would be terrific if it was a resource for more students. IME, high school students, even those used to success in math, will need significant in-person teacher/tutor support to get through it, but there’s no reason that can’t be available in a high school. There was no algebra photo available? People are scared enough of mathematics there’s no need to scare them further by using calculus to illustrate an algebra article (tongue in cheek, kind of). Sorry Paul! That’s my bad – all these years out of high school, I’m not so good at telling the difference anymore, which makes your point, I guess.